As a rookie accountant in the small, dusty office, I had to learn the ropes of the trade fast. “Get the invoices from the previous year!” the pot-bellied manager growled from behind his desk. He was a weird guy whose shifting eyes gave me the creeps. He was not the only one who gave me the chills, though. I remember getting into the record room to fish out old invoices. 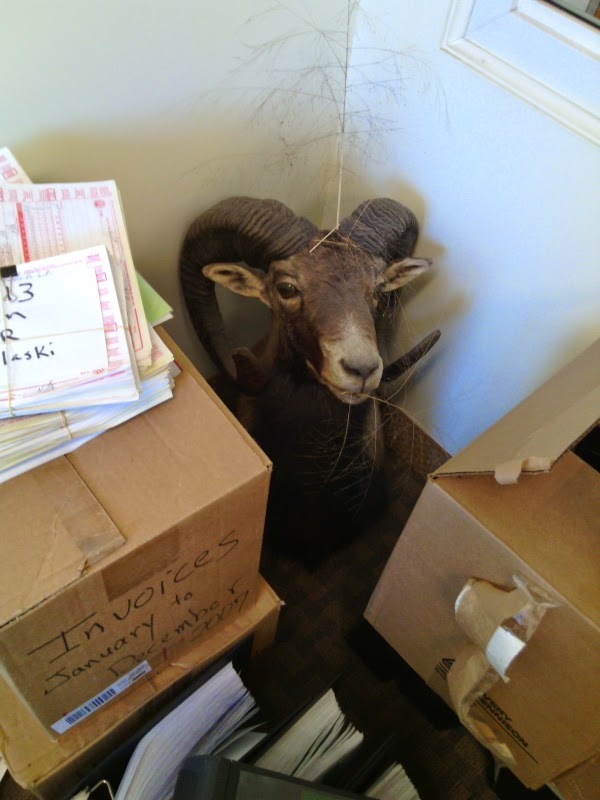 I nearly screamed in horror as the ram stared back at me nonchalantly. I had inadvertently opened a Pandora’s Box and poaching was among many evils that stumbled out. Written in response to the photo prompt at Friday Fictioneers.